The secret hope of many travelers: to fall in love with an exotic land (or exotic person), and stay there to open up a business. 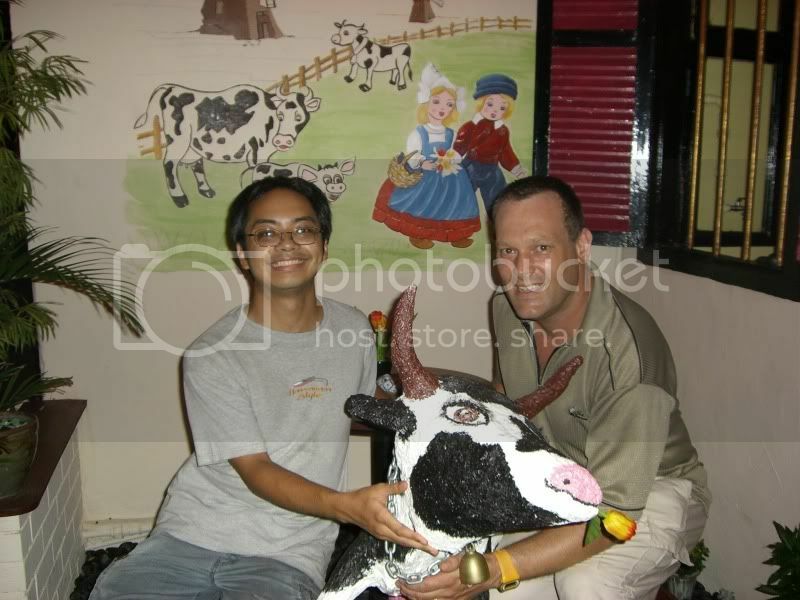 Jim Thomspon is the best example of this, and his traditional Thai house is a landmark in Bangkok. He was a former American secret agent who started a successful silk company in Thailand, built a magnificent antique-style house, collected Southeast Asian art, then mysteriously disappeared in Malaysia. 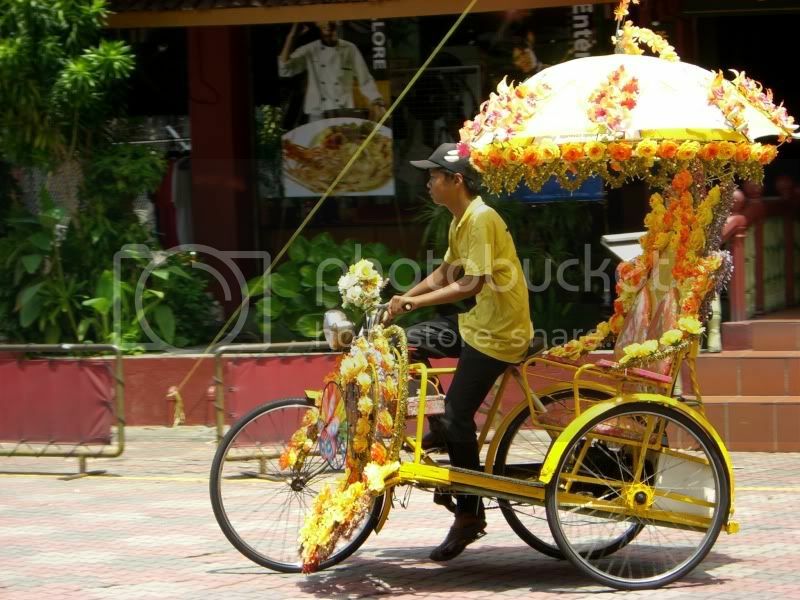 Melaka was an easy place to like, because it's a "fusion city," a blend of East and West. 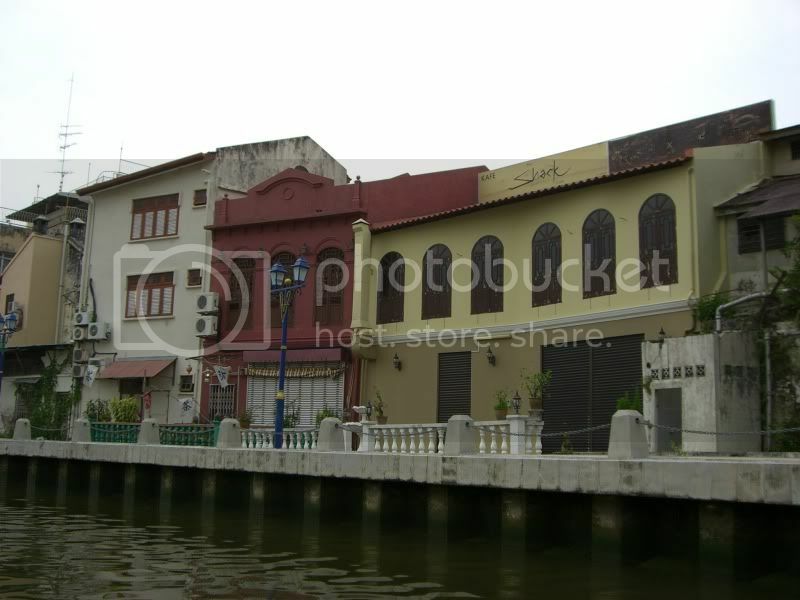 Along with Hong Kong, Melaka epitomized globalization before it became a buzzword. Even today, the Strait of Malacca (another spelling for Melaka) is one of the busiest shipping lanes in the world, connecting the manufacturing powerhouses of Asia with its bargain-hungry customers in the West and its oil suppliers in the Middle East. The city grew rich in the past by levying a tax on all shipments through its territory. 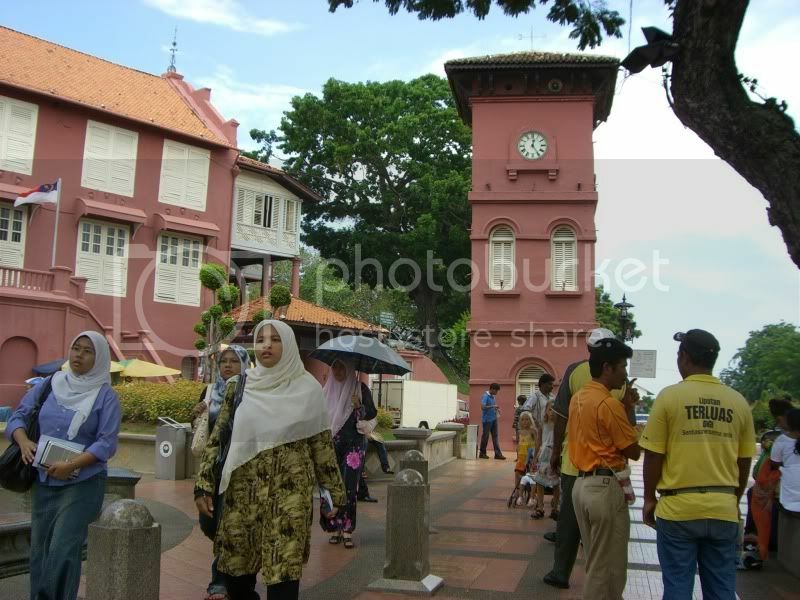 All this trade with foreigners left Melaka with a multicultural character that was so typical of Malaysia. 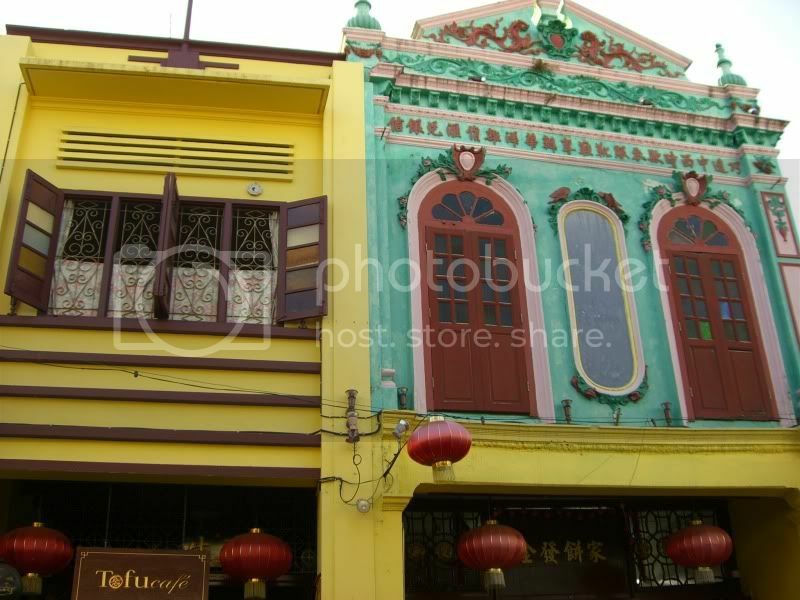 Chinese shophouses, European cathedrals, Muslim mosques and Indian temples were the norm. At first, it was hard for me to reconcile how a small city could be so international at the same time. I usually associate multicultural places with major metropolises. You expect a city like Kuala Lumpur to be cosmopolitan. 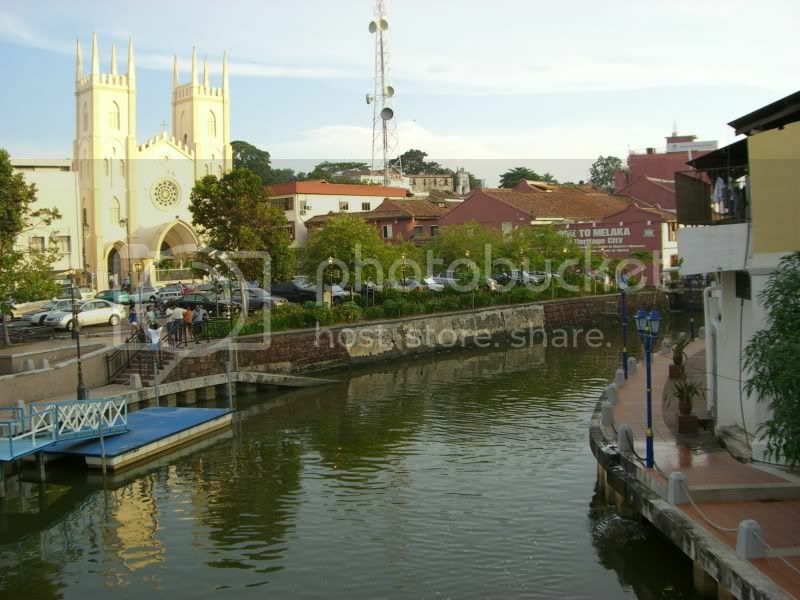 But Melaka was an example what the world could be like in miniature. Go to one street and you're in India. Turn around the corner, you're in China. I used to think that the price of living in an international city was dealing with all the traffic, pollution, and crowd density of urban life. In contrast, Melaka was a chance to have the best of both worlds: the fun of a melting pot of influences, with the peace of a small town. Richard and Isabelle are a Dutch-French couple that have traveled extensively, in search of that perfect place. I met them through my Canadian friend, Colin. Until recently, the Thai islands were their home. Richard (The Netherlands) and Isabelle (France), sitting in front of their cafe. Then they discovered Melaka. Despite seeing other great spots in Thailand and Laos, Melaka was the one that won their hearts. 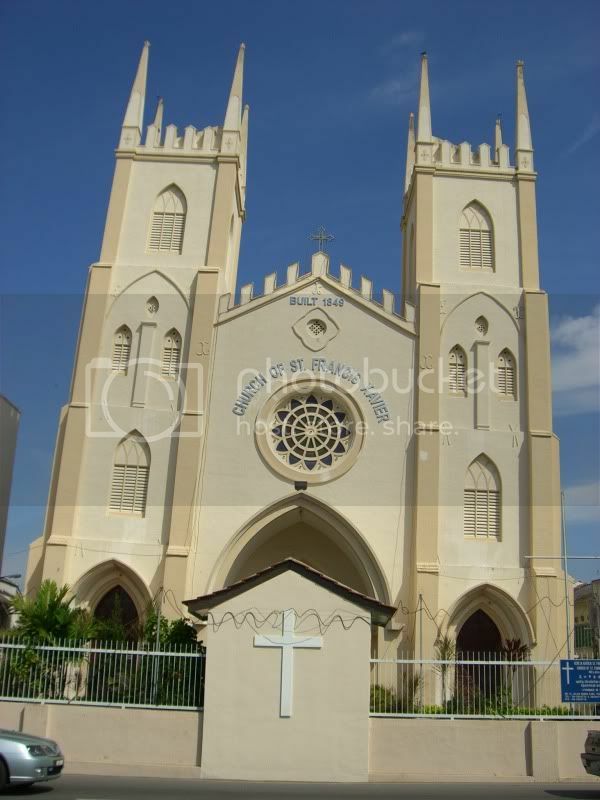 Although buying property and opening a business in Malaysia are difficult tasks, they persevered. Orang Belanda was the fruit of their efforts, a charming European cafe in Chinatown. Stepping into their coffee shop was like being back in Holland. While chatting with them over Isabelle's excellent crepes, I fantasized about finding my own sweet spot. The search continues. Getting to Melaka: Comfortable Transnational buses leave from Kuala Lumpur's Puduraya station to Melaka every hour. The ride usually takes about 2 hours. On arrival at Melaka Sentral, follow the signs to the domestic terminal. Look for buses with "Town Centre" signs. Bus 17 is one. You can take them to the main square with the clock tower and the fountain. I stayed at Jalan Jalan, a hostel in the heart of Chinatown. It's close to Jonkers Street, which is popular for its weekend night market. One plus is that the dorm doesn't use bunk beds. The downsides are there is only one shower and one (squat) toilet for the whole hostel. Ringo's Foyer Guest House got lots of good reviews from backpackers I met. A Hong Kong girl recommended going to Melaka on a weekend, when they have the Jonkers Street night market. Book accommodation in advance, though, because Melaka is a popular weekend destination for people in Kuala Lumpur and Singapore. The town square is the hub for the main colonial sights. Melaka is a convenient place to get to Singapore and Indonesia. Buses to Singapore take about 4-5 hours. Ferries to Dumai in Sumatra take 2 hours.